Amber suites are deluxe rooms designed for family. 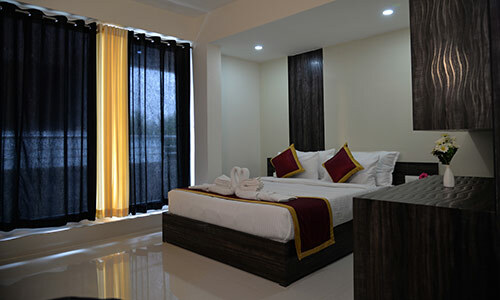 Rooms are provided with Queen bed, equipped with facilities like complimentary hi speed Wi-Fi, tea coffee maker and LCD TV along with the basic facilities. Amber suites provides clean spotless cozy bed rooms with vitrified flooring. A perfect room for a family stay in Karnataka. 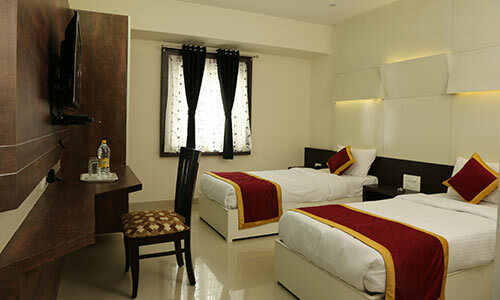 All rooms are large, comfortable with special soft mattress beds. Amber castle hotel offers 6 well-furnished spacious amber suits. All modern facilities are incorporated in this well planned hotel. For which we provide them the most comfortable, hygienic and secured stay at Amber Castle.